New Ultimaker 3 3D Printer! We are pleased to announce that Information Technology Services has just acquired a new 3D printer! And with this new printer, we hope to make 3D printing available to more folks here at Swarthmore. 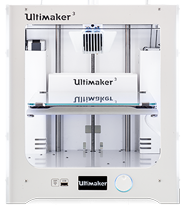 With the arrival of the new … Continue reading New Ultimaker 3 3D Printer!